Dipped in a light beer batter, these fried zucchini flowers and strips of zucchini are a delight! They are also a perfect and unique addition to a charcuterie or cheese board! Plus: FIRST EVER VIDEO! Insert all the celebration emojis in existence! WOOT! Oh and all my procrastination too, because it is now what?! JULY! (Oops!). Honestly, I’m really happy (as you can tell). I finally ripped the band-aid off and tried something new – and something that I knew would help TBC in general! I have to say, as it is my first video, that it may not be the best but you have to start somewhere! Eventually my video skills will get better! Practice, practice, practice! 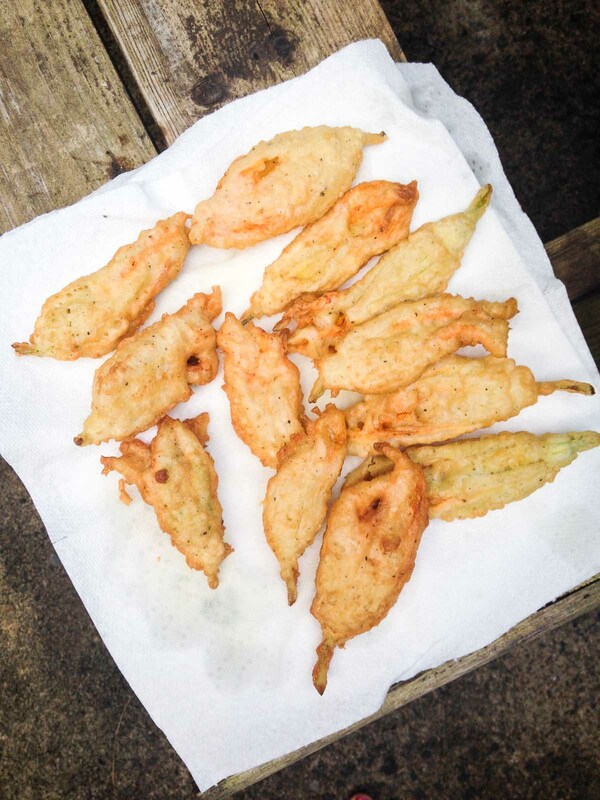 Now these yummy fried zucchini flowers: DELISH! Zucchini flowers were always something I had at my Nonna’s (grandma in Italian) house when they were in season and my Nonno (grandpa in Italian) had gone to the market. In Montreal, the only place I find them is at the Jean Talon Market at the Birri kiosk. If you live in the greater Montreal area, the drive to the market is definitely worth it! 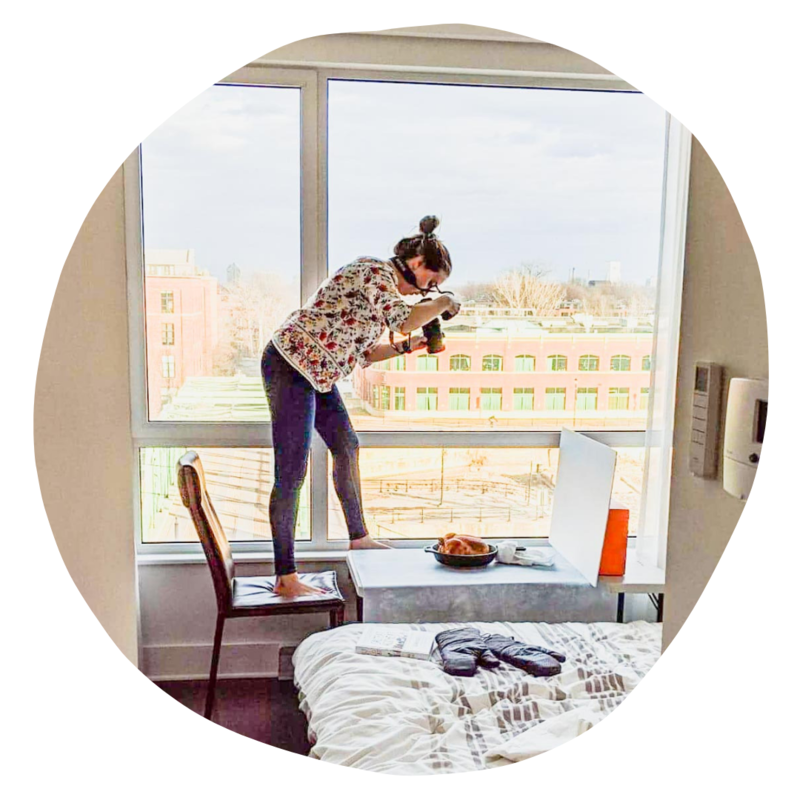 I did it on my birthday and had a foodie blast! Plus, getting back to the zucchini flowers, this appetizer, savory snack, GREAT charcuterie/cheese board recipe is super versatile and can be played around with. 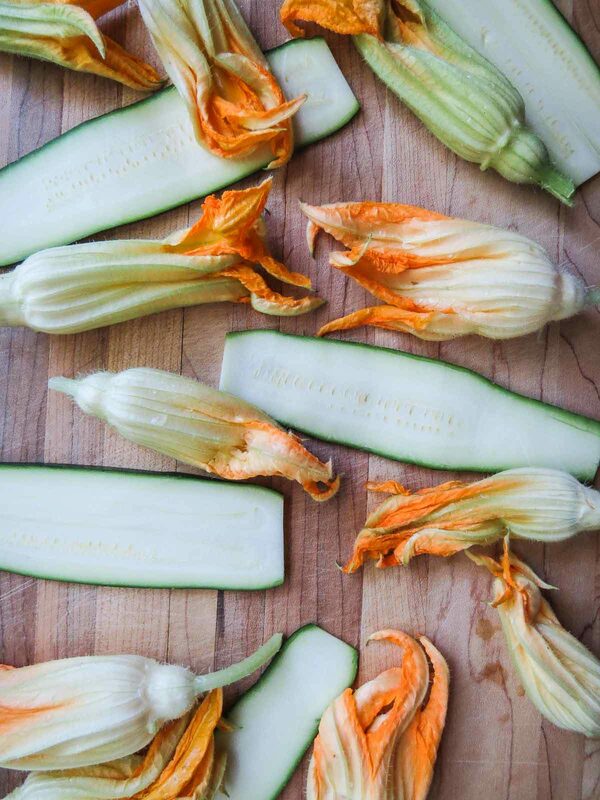 By adding some spices to the batter, stuffing the flower with some mozzarella, or mixing it up and using female flowers; photographed are male flowers that have a little stem, female flowers are directly attached to a mini zucchini! Hope you enjoy! Oh and don’t be shy to follow my YouTube channel! Dipped in a light beer batter, these fried zucchini flowers and strips of zucchini are a delight! They are also a perfect and unique addition to a charcuterie or cheese board! In a deep sauce pan or pot, heat oil over medium-high heat. In a large bowl mix together: flour, beer, egg, parmesan and a bit of salt and pepper. When the oil is hot (you can test with a couple drops of batter), dip a flour or strip into the batter and let drip to remove excess. Place in oil and fry until golden brown and the zucchini strips are cooked, about 3 - 5 minutes. Be sure to not overcrowd the oil as it will lower the heat. Once cooked, remove from the oil and place on paper towel to drain the oil. Serve hot.